There has been, and possibly has always been a disturbing trend of people dumping senior dogs at the county shelters; trading them in for a “newer model,” aka a puppy. There has also been the tragic trend of people dumping their pets during the week between Christmas and New Year’s holidays. Perhaps it’s that mindset of out with the old and in with the new? Jack, an almost 11-year-old male dog, was sadly the victim of both trends. 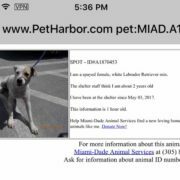 Not only is he a senior dog, but he was dumped at Miami Dade Animal Services (MDAS) on December 30, 2017. The cards were stacked against Jack getting out of the shelter alive. 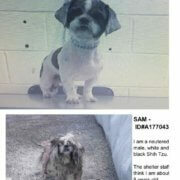 First of all, he is a senior dog and secondly, he had a large tumor on his abdomen which was removed at the shelter. He also has other smaller growths that need to be checked and possibly biopsied. Perhaps, Jack knew what his fate would be; destined to be overlooked and ignored, an old dog who had outlived his usefulness? So, Jack’s disposition soon became increasingly depressed and despondent. Everyone who supported him was afraid he would be killed because of this. Jack, who had been described as a “sweet senior” continued to languish at MDAS for five months. There he was – watching the world go by from his lonely cage, seeing other dogs get adopted while he remained invisible. Then, miraculously, Jack got his big break. 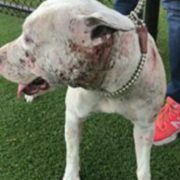 A rescue group known as Casa de Love Animal Rescue, located in California heard about Jack’s plight. They stepped up and offered to save his life. 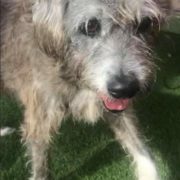 In order for Jack to start his new life adventure with Casa de Love Animal, funding is needed to help him make this transition. Money is needed for boarding, general vetting, additional medical issues, and transportation from Florida to California.A fundraiser has been set up to help with costs. Or if donors wish to donate directly to boarding, please contact Tori Reimers via Facebook for information. https://www.facebook.com/tori.reimers. To a lot of people, Jack was just another senior dog thrown into the county system, not worth bothering with. But to Jack’s supporters and to Casa de Love Animal Rescue, he is a sweet, valuable being who deserves another chance to live out the rest of his golden years. Please help Jack get to his new life. God bless you, Jack and rescuers. I will send a donation soon! Jack, wish you a wonderful life and hope they get the funding they need quickly to transport you to your new life. 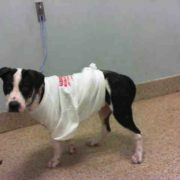 It is wonderful when rescues like this are willing to take a dog like Jack and need a little extra help. Hope everyone is reading and can donate something. 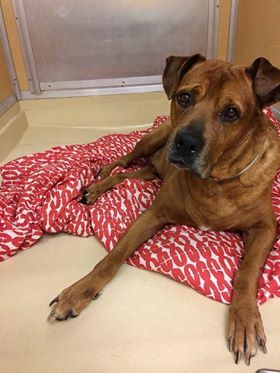 Anyone who wants to dump a senior dog for a ‘newer model’ should never be allowed to – these shelters need to step up and inform these skank owners that if they leave their older dog, they cannot get another – makes sense to me. These people should never be rewarded for their lackadaisical attitude towards an animal – they are not disposable objects and shelters need to take a stand and impose a rule – they are not automobiles, they are living breathing beings who deserve kindness – I hope Jack gets to Casa de Love Animals and is able to start a new life with a family who will give him a safe loving home. He deserves it. any idiot that gives up an older pet, let’s hope the same thing happens to them in their old age. 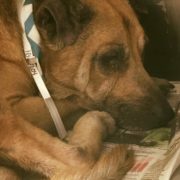 Jack, the senior dog, is still in need of donations to save his life! Please donate and/or spread the word if you can! Thank you! 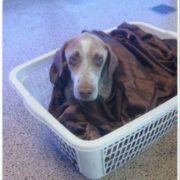 Please help Jack he needs more donations, we need to help this sweet senior dog! 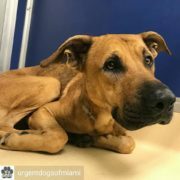 Almost half of the needed donations are in to save Jack’s life! Please continue to donate and/or spread the word! Jack needs us! What is happening with a Jake? 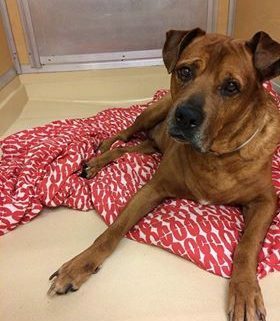 Jack, the senior dog, still needs our help in finding a home! If you can, please donate (at GoFundMe) or help spread the word! Thank you again for caring! Thankfully, sweet Jack is still with us but needs surgery. Please continue your help by donating to GoFundMe and/or spreading the word! Thank you very much!